Presidente Supermarkets began as a small family business of three stores in 1990. Today, it has nearly thirty stores in Florida alone. It brands itself a “Hispanic supermarket” and caters to the Spanish-speaking community. Like any other English or Spanish language grocery store, however, Presidente experiences personal injury lawsuits from slip and fall accidents sustained on its premises. When you or a loved one is injured in a slip, trip or fall at any grocery store in the Miami area, contact Gerson & Schwartz to protect your legal interests. For over forty-six years, Miami residents have trusted our firm to secure fair compensation for their personal injuries. 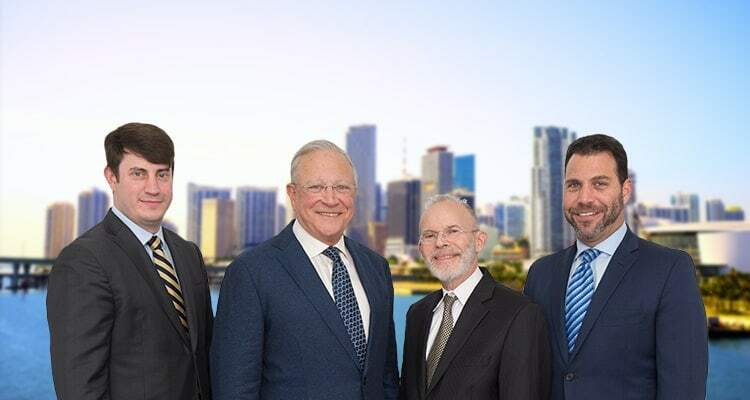 Our premises liability lawyers in Miami negotiate and litigate aggressively to ensure a fair outcome for every case and will review the facts of your case at no cost to you. Many people have preconceived notions about slip and fall accidents. Some believe that they were the victim’s fault, the victim was clumsy, the victim just wants a quick payout or other things that simply are not true. The reality is that slip and fall accidents can cause devastating, permanent losses for victims. This happened to Melissa Horton, a Pennsylvania who was injured by a slip and fall accident at a Target store in Allegheny County. A soda bottle fell from a shelf and caused a large spill, which Target employees mopped and marked off with warning signs. They had, however, mopped outside the designated area. Ms. Horton slipped and fell, which caused her hamstring to be ripped out of her hip socket. She had to undergo surgical repair and spend the recovery period in a body brace which immobilized her right leg. Jurors awarded Ms. Horton $2.1 million for her total noneconomic damages (pain and suffering). Though Target did attempt to clean the premises, the extent of Ms. Horton’s injuries was severe enough to yield her the substantial personal injury award. Another aspect of slip and fall accidents which is often overlooked is the extent of the defendant’s negligence. In a supermarket accident case, injury victims must prove that a business either created a dangerous condition on the premises, or that it knew or should have known of a potential risk of danger or risk of harm but failed to undertake necessary safety and security measures to prevent it from occurring. a third victim slipping near the warning sign. The fact that three separate people slipped in less than ten minutes is evidence that the owner did not properly address the safety hazard on its premises. Our Miami personal injury lawyers represent clients injured in any supermarket including Presidente and others in the greater Miami area. Our attorneys have litigated numerous personal injury claims due to a slip and fall or other accident which occurred due to a market’s failure to maintain their premises in a safe condition. Our firm will fight hard to enforce your legal rights. At Gerson & Schwartz, we are committed to protecting the rights of individuals who have been hurt by the negligence of a property owner or leaseholder. Contact our office today to schedule a free consultation. For more information on how we can help you, call (305) 371-6000, or email us directly at info@gslawusa.com. Se Habla Español.